Instagram is not just a social network for posting your pet’s pics and sharing your lunch photos. If you run a drop shipping business, Instagram can become a powerful promotional tool that costs you nothing! It serves as a platform for posting your ads and announcements. We have already discussed the strategy of promoting a drop shipping store through Instagram shoutouts. As you probably remember, it is a really efficient method. Using shoutouts for our own store, we increased the number of purchases 65 times in 2 months. Still, shoutouts are not the only way of using Instagram for marketing purposes. In this article, we will briefly explain the basic aspects of working with this social network without any extra costs. Your bio is the first thing that your potential customers see. It’s the main source of the information about your store and its terms of work. What can you do with your bio to generate more sales? Tell something about your store. What does it sell? What makes it special? Make a short description that explains your main area of business, and mentions the major types of your products. It is a good idea to use emojis as text dividers – they will highlight the main ideas in the text. Write the contact info: the drop shipping store itself, phone number, e-mail address, WhatsApp, Viber, Facebook account, etc. All these channels must be relevant and working! If you don’t check them or if they are inconvenient for you, don’t include them in the list. Your account visitors should be able to contact you if they like, and easily get answers to their questions and comments. Use hashtags. It is typically recommended to include your main hashtag in the bio. That’s how your clients will know which hashtag to put in their posts if they want to share their experience. You, in turn, will be able to monitor reviews and use them to boost your drop shipping business. The length of your account bio should be about 140-160 characters. Don’t write less than this: newcomers should be able to understand what do you offer and how can they get in touch with you. Don’t write more than this: your account visitors will be overloaded with information and most likely, they will overlook some important details. We already mentioned the importance of hashtags in the previous section, so let’s take a look at them in more detail. They help you reach a wider audience and get new customers. If you add several relevant and popular hashtags to every post you make, these posts will be seen by Instagram users who look for something specific. That’s how you can make people aware of your business, and get their attention! Still, you need to be careful with the amount and contents of the hashtags you add. The hashtags must be directly related to your offers. Don’t forget that too many hashtags look like spam and annoy your subscribers. They help you track customers’ reviews. These reviews can later be used for a range of purposes in your drop shipping business. For example, you can learn if your customers are satisfied with the purchase and the service – such knowledge is helpful if you want to improve the quality of your work. Also, these hashtags will increase awareness about your store among your buyers’ friends and readers. Finally, you will be able to reblog these posts into your account – they will serve as honest and real proof of your store’s top quality. They help you structure the content within your account, and they make it easier to navigate your page. In drop shipping business, this is really important: since you can offer numerous items that refer to various categories, it should be easy and convenient for your clients to look through these offers. Hashtags will help your readers filter the items by different criteria: specific product type, newest arrivals, items on sale, special offers, etc. 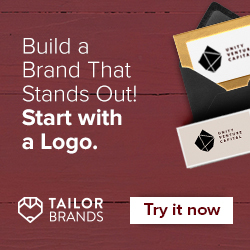 They help you build your brand identity and stay memorable. If you have some main hashtag that is built upon your brand name or slogan, people will remember it and use this hashtag to find your store once again or to recommend it to someone else. In this case, your hashtags need to be unique. If you want your customers to be okay with all the hashtags, don’t include them in the text of the post. You can also put them in the first comment, or at least you can separate it from the main text using emojis, other text dividers, or just blank space. If you run your Instagram business account with due patience and attention, it takes tons of your time. Just imagine how long it will take you to think of a nice post idea, edit pictures and videos, create a post, answer all the comments and direct messages, etc. Why waste your time on this when you have much more important tasks to do – improve your customer service, search for new suppliers and add new items, optimize your drop shipping store, and many more? Personally, we would recommend you to check out the Social Rabbit plugin – we have a good experience with it, and thanks to the plugin, we managed to get 66,000+ followers on our Hokage Store Instagram account. Technically, the Rabbit is not a free plugin. Still, it’s much cheaper than most of the similar tools. Moreover, if you just think about all the time and effort you will have to devote to Instagram posting, you will definitely say that such a small cost for an automated solution is just fine. Generally speaking, Social Rabbit is a WordPress plugin that makes it possible to run and promote your drop shipping store social media accounts automatically. It works with 4 major social networks (Facebook, Twitter, Pinterest and Instagram) and potentially can cover the audience of up to 2 billion people. The Rabbit creates posts with the use of pictures and phrases that you specify, likes and comments posts, grabs and reblogs posts from selected social accounts, and in general spreads the word about your drop shipping business across the most popular social networks worldwide. Automatic posting is awesome – it saves your time and effort and lets you manage other areas of your drop shipping business. Still, the posts you create manually are also an important part of your marketing strategy. Such posts make your account look more ‘human’ and customer-oriented. People prefer interacting with humans, and not with some soulless bots, right? That’s why we try to mix automatically generated posts with something unique that we create ourselves. We even made a custom product offer! By the way, don’t be afraid to interact with your drop shipping supplier and ask for something customized. As our experienced seller from AliExpress reveals, you can ask your seller to include some branded elements in your package. But, as the example above shows, you can also make a deal and pay for a limited edition of a very special product offering! They tell about your product A LOT. You can show the item from any angle you like, and demonstrate how to use it in real life. This is crucial for online purchases because your customers basically can’t see and touch the item – while making a decision, they can only rely on the information you have provided. They are engaging and fun. We mean, if your video is catchy, chances are your subscribers will share it. And that’s a nice way to increase awareness about your drop shipping store! They are personal. You don’t have to limit yourself only to the videos showing how to use your product. Why not film a short ‘behind-the-scenes’ video showing the backstage of your work, or, for example, telling your customers how to choose this or that product? Speaking of personal experience, it’s necessary to mention customer reviews! If you manage to find a review in the form of a video (unpacking the delivered item, demonstrating the item in use, etc.) – share it with your audience! It is real, it is visual, and it is really engaging. At the beginning of 2017, Instagram presented a new fun feature – a so-called gallery. It means that you are able to put up to 10 photos or videos in a single post. This is exceptionally useful for Instagram accounts related to e-commerce in general and dropshipping business in particular. Now you don’t have to waste your time and energy on creating collages. And you also don’t have to spam your subscribers’ feed with multiple similar posts. How can you use galleries in drop shipping business? Show several products at once. If you want to tell your readers about new arrivals, present a thematic collection, announce a sale on a certain product category, etc., just combine the relevant images into a single post. Nothing will be overlooked, and you won’t annoy the readers with numerous look-alike posts appearing within a short period of time. Create lovely shoutouts. The idea is the same: you place a pre-paid post in someone else’s account, and, thanks to the gallery feature, you can advertise quite an impressive number of products in a single post. It will look stylish, professional, and catchy. Show a product from different angles. It can be a nice alternative to a video – if you want to show some yummy details of an item, just make several photos of a high quality and combine them in a single post. Traditionally, people use Instagram to post carefully selected pictures and videos. Users share the most beautiful scenes, the most important moments, and the most meaningful events. It is not the case at all with Instagram stories – they disappear in 24 hours, and they are only shown to a selected category of subscribers. It means that users don’t feel much stress – they freely post whatever they like, and they are really relaxed about it even if the photo quality is not too high, or their face looks funny, or whatever. It means that stories capture ordinary everyday life, contrary to traditional ‘glamorous’ Instagram posts. What does it mean for drop shipping business? Basically, you can make your readers interested by creating a more personal and human-like brand image. When you experiment with the content by adding emojis, drawings and text to the story, you turn it into some kind of a private message filled with emotions. That’s a way to build a loyal customer audience. You can use stories to interact with your readers. If they want to share their reviews or reblog your posts to take part in some contest etc., but they don’t want to ‘spam’ in their own feed, offer them an alternative. Ask them to use stories for this purpose, and everyone will be happy. Do you use any of these tips to promote business on Instagram? Do you like the results? Or maybe you know a couple more secrets? Feel free to share your experience in the comments section below!